What’s the Project? 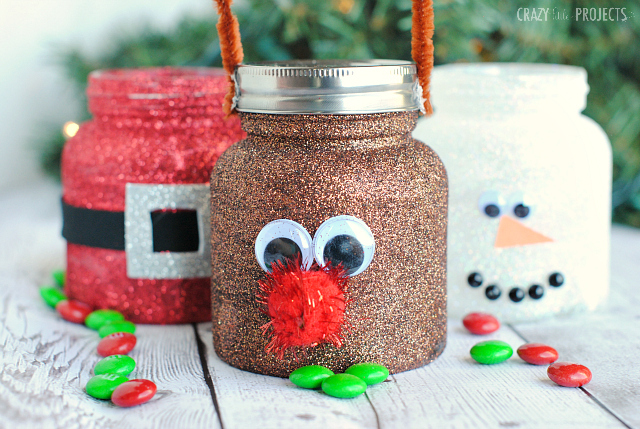 These fun little Christmas treat jars make a great Christmas craft project! 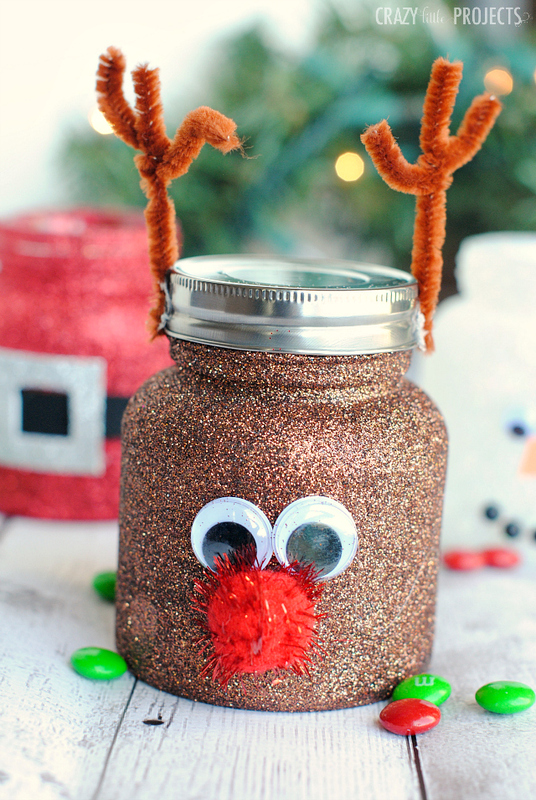 Cute mason jar crafts for kids that are covered in glitter and can be filled with candy! I love things that sparkle-especially glitter. Glitter at Christmas is extra magical. 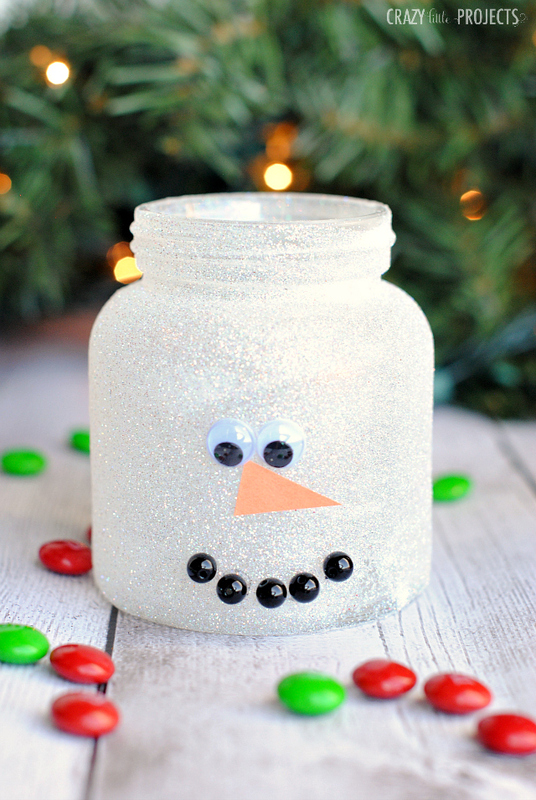 Put it on some cute jars and it makes a perfect little party favor or neighbor gift or project for the kids! 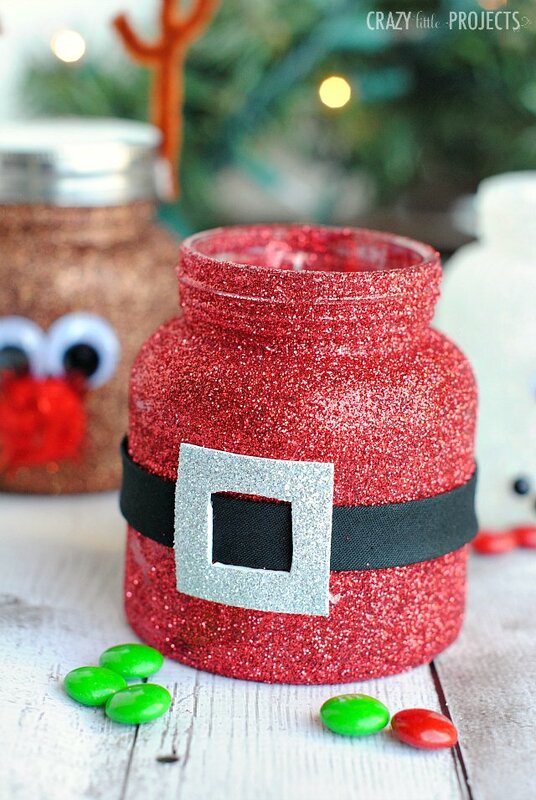 Make these darling Christmas Treat Jars in any size you want and then fill them on up! 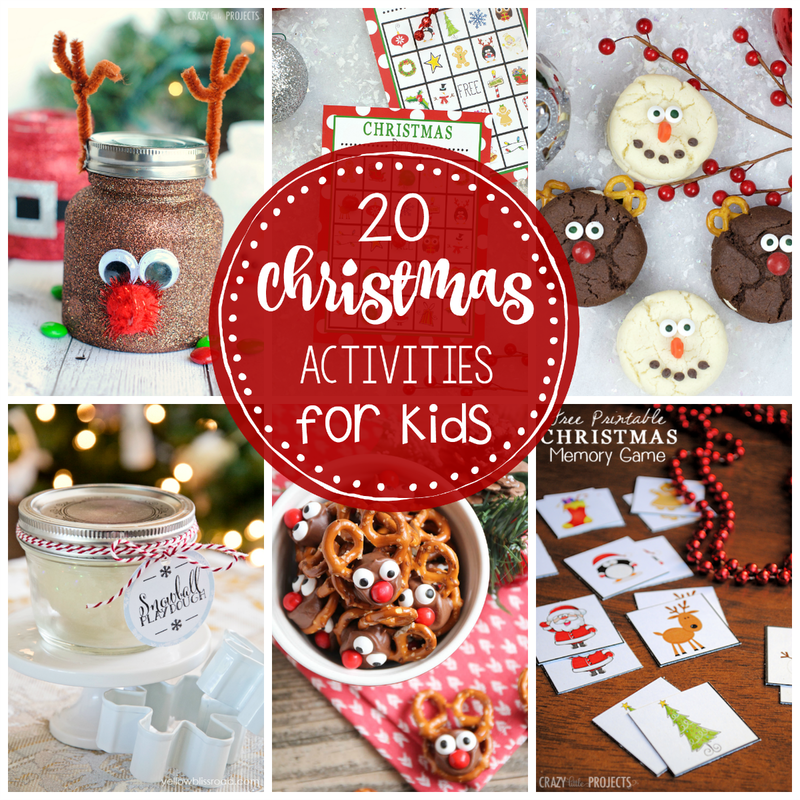 These mason jar crafts for kids are perfect for an easy Christmas craft if you need an idea for a class party or something to do with your kids at home! Start out by covering your jar with a layer of decoupage. Pour glitter all over your jar, fully covering it. Set aside to dry. The directions will then vary just a little for each mason jar craft. Cover in brown glitter. Hot glue two googly eyes in place and add your pom-pom nose. Cut one brown pipe cleaner in half. Snip off another 1-2 inches and wrap them around the other piece to shape it into an antler. Hot glue this to the lid and you are set! Aren’t they cute?! 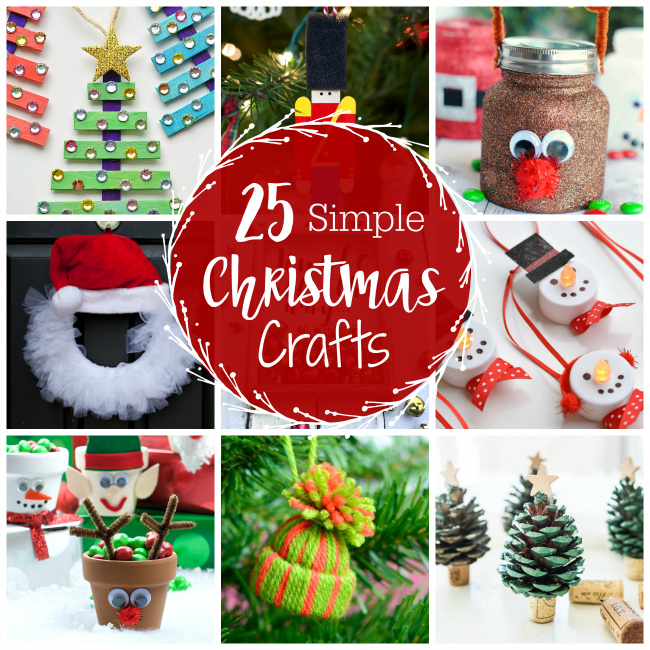 Love these little mason jar crafts for kids and they are perfect for Christmas! I don’t think they would hold up very well. how much time would they take to dry.